Compact fluorescent lamps (CFL) are one of the brightest new technologies for the homeowner since batt insulation. Because CFLs use up to 80 percent less energy than typical incandescent bulbs, they are less expensive to operate, and with a lamp life that is about five times that of incandescent lighting there is also savings on replacement cost. They also burn cooler than incandescents, potentially lowering your cooling costs during the warm weather season. CFLs work by using an arc discharge through a phosphor-lined tube. The new screw-in CFLs operate basically like the long tube fluorescents from high school shop class but have enhanced warm tones added to the glass to make them more aesthetically pleasing. 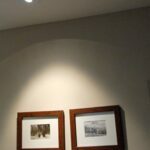 CFLs screw into most standard fixtures, although you may have to use an adapter with some ceiling fixtures. 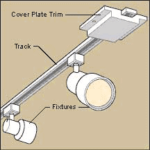 Compact fluorescents come in a variety of shapes and sizes, ranging from a standard light bulb look to coiled, U, and oval shapes. There are two things to remember when switching over from incandescent bulbs to CFLs. First, to extend the life of your new bulbs, install them in places where you expect them to be on for longer than 15 minutes. Frequently turning them on and off can significantly shorten their life. 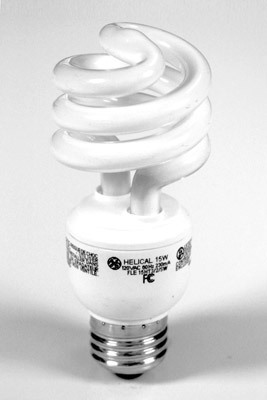 The second thing to be aware of is that CFLs contain trace amounts of mercury. To complete the green cycle with CFLs, be sure to recycle expired bulbs at a qualified disposal facility so that the toxic mercury does not end up in your local landfill. See more about: Energy-Saving Light Bulbs.